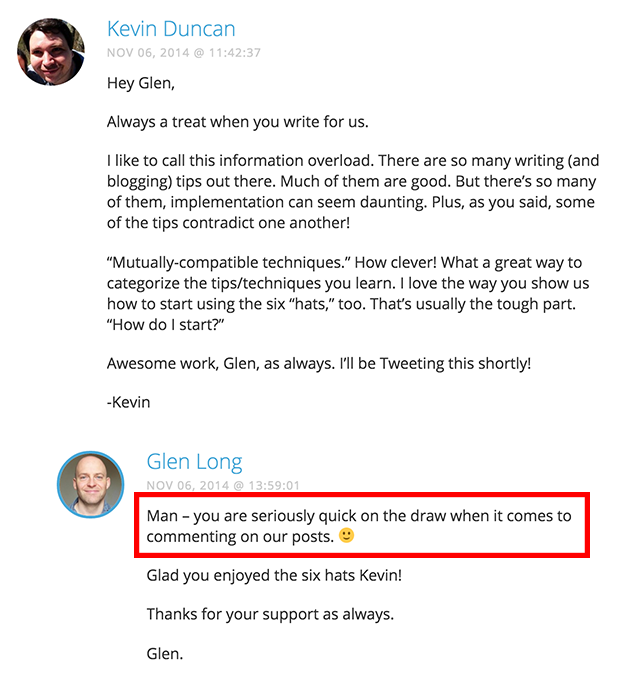 Want to get influencers to respond to your cold emails? Networking with the big players in your industry is a necessity for building brand awareness, growing social proof, and acquiring new leads. 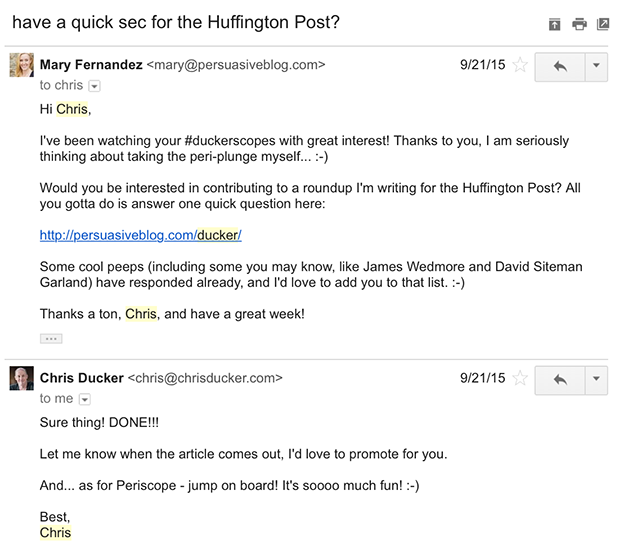 Here are 11 tricks for writing effective outreach emails that actually get a response. 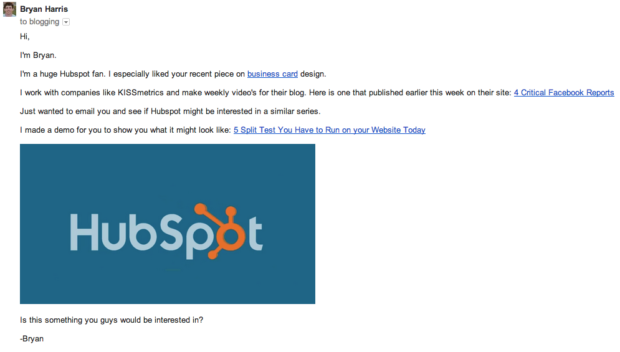 As an online marketer or business owner, you’ve probably sent an outreach email at some point. You might have been asking an influencer about a potential opportunity, such as offering them a free sample of your latest product for them to review. Or perhaps you emailed a publisher with a pitch, hoping to get a guest spot on their blog. How many times have you sent a cold email like this and gotten zero response? If it’s a lot, don’t worry – you aren’t the only one to face the dreaded cold email “cold shoulder”. It can be extremely difficult to get a response to a cold email, especially from a busy influencer. Fortunately, if you know the main obstacles to watch out for, and with a handful of helpful tricks, you can write better outreach emails and see a much higher response rate. First, you have to know who you’re going after. If you select an irrelevant target, or one unlikely to respond to you from the beginning, you won’t see much success. Many influencers and publishers are busy people who get hundreds of emails per day. 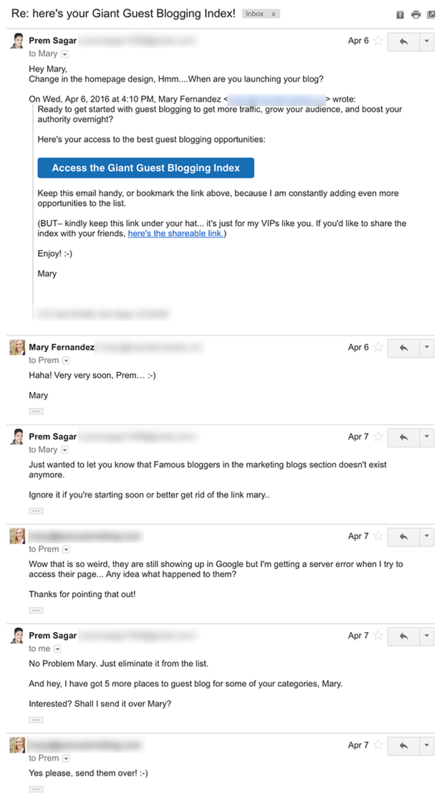 Oftentimes, the influencer doesn’t even check their email themselves: they have their assistant do it. You need to stand out to get past their gatekeeper. Once you’ve grabbed their attention enough to get them to open the email, you’ll need to deliver the goods to keep their attention. Otherwise, your email will go straight to the junk pile. Finally, you need to give them a reason to act and move your request forward. Even if they liked your email, it won’t do you any good unless they take some kind of action. Before you decide to send a cold email, make sure that the influencer you are targeting is even likely to respond to an email from you. Who is the influencer’s audience? Ideally, their audience will be similar or aligned with yours, so there is potential for a mutually beneficial relationship. Do your research on them before you attempt to contact any influencer. Is the influencer already primed to share or accept my content? If you want an influencer to share your blog post, follow them on social media to see what blog posts they are already sharing. These influencers are far more likely to share your content. 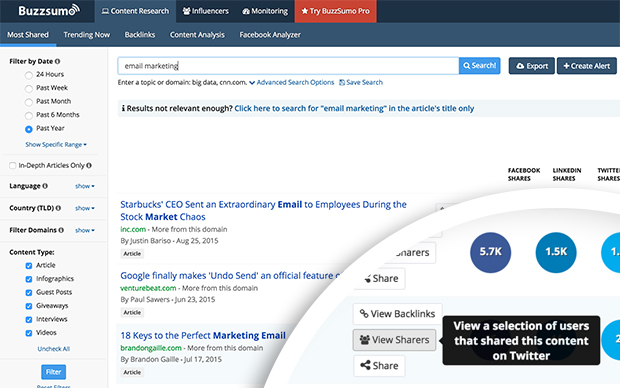 You can do this with BuzzSumo by searching for posts on your topic, and then clicking on “View Sharers” to see which influencers are sharing similar content. Is the influencer too big? Be realistic in your expectations. If the influencer you are trying to reach is a huge celebrity, the chances of getting a reply are pretty slim. Instead of trying to cold email a huge influencer directly, get to know someone lower on the totem pole first and work your way up. 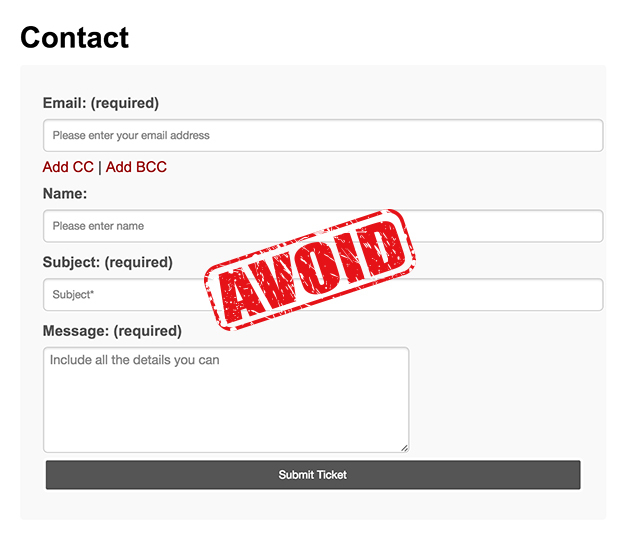 At all costs, avoid using a general contact form! The chances of getting a reply via a contact form on a website are extremely low. If you don’t know the email address for the person you are trying to contact, there is a handy free tool that you can use called Pipl. All you have to do is make an educated guess at their email (“firstname@domainname.com” is a great place to start). Then, type your guess into the search bar. Email is ordinarily the best form of contact, but social media can be a good point of contact as well, depending on the influencer and where they are the most active. If you see them responding to other people’s queries via social media, then you know that’s a good way to contact them. If you still can’t find their email address, often the best way to find it is by simply subscribing to their email newsletter. In fact, you should subscribe to their newsletter and read their emails regardless. This is the best way to learn about the influencer you are trying to reach because now you are a part of their “tribe”. But don’t just become a subscriber. Become their #1 subscriber. Read all of their emails and respond to them. Comment on their blog posts. Attend their Periscope show. Make sure they see your name at every turn. This will prove to them that you are invested in their work, and it will help you to stand out from the crowd. You’ll have to do this for several weeks in order to establish yourself as one of their biggest fans, but this is definitely one of the surest methods of getting their attention. What time you send your email really makes a big difference. In general, avoid sending on Friday afternoons and weekends because these are usually the worst times for getting responses. More importantly, however, be cognizant of the influencer’s schedule. For example, if they appear to be traveling, wait until they come back to send your email. Avoid sending your email while the influencer is in the middle of a launch. And if they come back and tell you they are simply too busy right now, ask them when would be a better time. Your email subject line will determine whether or not your email even gets opened, so make sure it grabs their attention! Even better, use your subject line to refer specifically to their work, or something highly relevant to them. 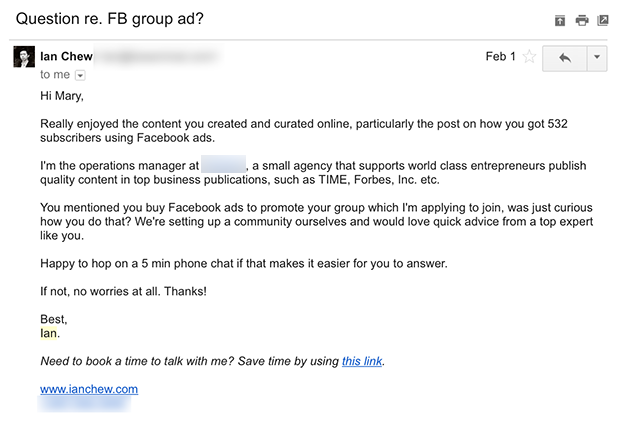 Ian Chew not only referenced Facebook ads in his subject line–which is something I’ve written about–but he referenced Facebook group ads: something I’ve done that I haven’t heard of many other people doing. Right from his subject line, Ian proved that he was very familiar with my work by pointing to something unique about me. I couldn’t help but open it to discover what his question was! The subject line is also your first opportunity to get past the influencer’s gatekeeper. That’s why clear, to the point subject lines often work the best: they allow the assistant to quickly determine whether this is an email that their boss will want to respond to, or whether it’s one that can go in the trash. The biggest mistake is to gloss over this critical part of your email, so put some serious thought into crafting your subject line. If you do, you’ll be leaps and bounds above everyone else in their inbox. Influencers don’t want to waste their time with people who come off as needy, or desperate for more publicity. In just a few split seconds after opening your email, they will make a judgement about whether you are a “Giver” or a “Taker”. Takers want something from them, whereas Givers have something of value to give them. Guess which person they will respond to? To come across as a Giver, you have to demonstrate that you’re genuinely invested in their brand. Tell them about a recent post they’ve written that you loved, or compliment them for some specific work that they’ve done in the past and explain how it’s helped you. Saying that you “like their work” in general doesn’t cut the mustard here. Too many people use this tactic, and you won’t stand out. You have to prove that you have a deeper understanding and appreciation for what they do. Influencers love to hear that they’ve impacted someone’s life. The absolute best thing you can do is to follow their advice and give them your results. Be a case study for them, and your chances of getting a response will skyrocket! You might be tempted to mask your request with ambiguous language or “beat around the bush” but again, influencers don’t have time to deal with this. You’re often better off keeping your request plain and straightforward. Don’t be shy to cut right to the chase. The influencer will appreciate how quick and easy it is to understand the purpose of your email. You don’t want to come across as a Taker by bragging about yourself, however, simply stating a few of your credentials can help to establish your credibility. Feel free to mention any recent publications you’ve been featured in, or any notable businesses you’ve been affiliated with. 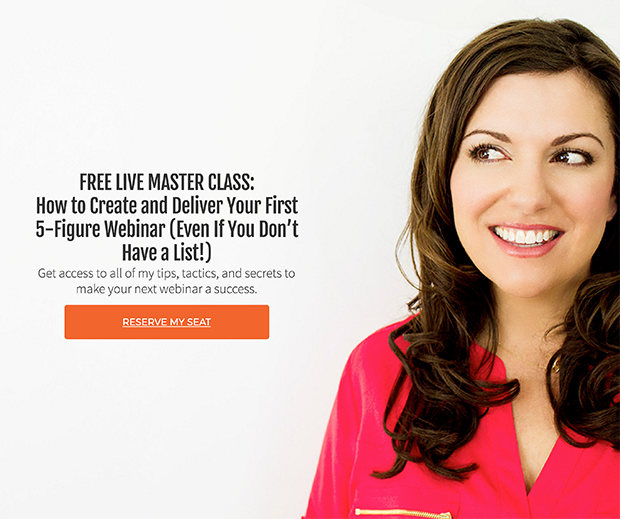 This will help to distinguish you from the “average Joe”, and it will show that you’re plugged in to the industry. Just be careful not to overdo this part, or to forget to add value to the influencer… Simply having good credentials is not enough. They have plenty of contacts with credentials, so you still have to provide real value. He starts the email off on a personal note by citing a specific post of theirs that he liked. In the second paragraph, he briefly gives his credentials by stating that he’s worked with KISSmetrics (he doesn’t rattle on and on about it). Then he adds tremendous value at the end by giving a demo of what his series would look like. This way, the credentials are in there, but it doesn’t come across as bragging or presumptuous. It can be tempting to want to explain as much as possible so that you cover all your bases. However, your outreach email is not the place to get wordy. The more concise your email is, the better. Keep your sentences short and to the point. Format your email using paragraph breaks, bullet points, bold or italics to make your content easy to skim. The faster your email can be read and understood, the better. You can also respect their time by offering them value on a silver platter: don’t expect them to do any work to figure out how you’ll be a good fit. For example, if you are looking for a podcast interview, don’t simply state your credentials and ask for a generic interview. This puts the burden on the host to figure out what to interview you about. Instead, know what topics the podcaster likes to talk about on their show so that you can suggest a specific topic that will truly benefit their audience. Make it easy for them to visualize working with you by doing all the heavy lifting for them. Don’t ever ask for an influencer to “do you a favor”. Of course you are hoping to get something out of the relationship, but this is a two-way street: you need to provide value first before you can expect value in return. One of the best cold emails I ever received was from a subscriber who offered to help me with my opt-in offer, an index of all the best guest blogging opportunities. First, he simply expressed an interest in what I’m up to by replying directly to one of my emails (a simple but effective form of flattery, and I took the bait). Then, seeing that I responded, he let me know that one of the links inside my Guest Blogging Index was broken. After I thanked him, he continued to add value by letting me know that he had 5 more guest blogging sites to add to my list. Of course I was thrilled to have the help, and this relationship has turned into a very beneficial one for him as well. The key takeaway here is that he gave value without asking for anything in return. That made it super easy for me to label him as a Giver, and even look forward to receiving his emails. If you don’t hear a response right away, don’t panic. Give it a week or two, and then attempt a follow-up. Something like, “Hi! Just following up regarding _______. Let me know when/if you’re available.” works well. Keep it extremely brief and to the point. You may also want to include a copy of your previous email to save them the trouble of having to dig around and find it again. Another technique is to simply write a brand new pitch, completely ignoring the previous one (there’s a good chance that the influencer doesn’t even remember your previous pitch anyway). Neil Patel recommends following up until you get a definite “yes” or “no” answer. Lewis Howes said that he followed up many, many times before he finally got a positive response from the influencer who became one of his greatest mentors. Napoleon Hill followed up every week for four weeks, and then every day, and then by telegram every hour for two days before he finally got the job he applied for. Don’t give up. But whatever you do, always remain respectful, and never make the person feel bad for not responding to your emails. You don’t want them to associate you with guilt, frustration, or any negative emotions. Keep persisting with a positive outlook, and you will eventually get through. Effective outreach emails can be the start to a long-term, mutually beneficial relationship that can exponentially grow your business. You just have to know how to get past the four main obstacles to getting a response. The key points to remember are to: 1) make your email as personal as possible, 2) succinctly establish your credibility, 3) offer value before you ask for anything in return, and 4) maintain a pleasant and respectful attitude at all times. With these 11 tricks up your sleeve, you’ll be lightyears ahead of the rest! Have you had success or failure with cold emails? What has been your experience? Please let us know in the comments! Hey Nadeem, I’m so glad this is just what you needed! I completely agree with you, subscribing to the influencer’s list, reading and sharing their work is one of the best things you can do to get them to notice you. Let me know how it goes for you as you start implementing the other 10 tricks! Thanks so much, Danny, you are too kind! I love the way you put it: you have to be actually interested in the other person. That’s really tough to fake, and those who are genuine will not only have an easier time getting the response, but they are the ones who can actually build a meaningful relationship from there. Thanks for your comment! Great piece Mary! These tips helped me a lot! However, I want to know what is your take on writing emails to bloggers for your outreach with a casual tone (e.g. using emoji)? I’m glad you enjoyed these tips, Emmerey! To answer your question, I think that depends on the person you are reaching out to. If they tend to use emojis in their own writing, then you can reach out to them in a similar tone. But if not, I would stick to a more professional tone. Wonderful Insightful topic, Mary! I am taking on a new challenge in my life as a freelance writer (Just starting to get my feet wet with all the hows, whats, wheres) I am looking forward to implementing these “tricks”, as I was daydreaming just today… how exactly to contact pitch myself to my targeting group/s. I feel as if most of what you wrote is professional common courtesy but more importantly and rightfully, filled with several exact approaches that would work well with almost every industry. I just stumbled across your blog from June 9th, 2016 this morning, while searching for cold email methods and believe these steps are true reminders of how, with great approach preparedness, will in turn cause great progression. This, I believe, will allow for a more successful and pleasing “climb up the ladder” in one’s career. The tips are words of wisdom that will definitely stand the test of time! Just excited and eager, is all. I do must THANK YOU, for it is people like you, who care-enough-to-share your helpful positive attitude and knowledgeable lessons learned. This information will be used and remembered everyday. So BIG Props to you for sharing, Ms.Fernandez… and “THANK YOU AGAIN!!! Thank you so much first of all for sharing this type of useful information with us!! I’m really pleased to have gone through this. For what I wanted I have already came across!! Keep progressing! Expect more useful contents from you in future.